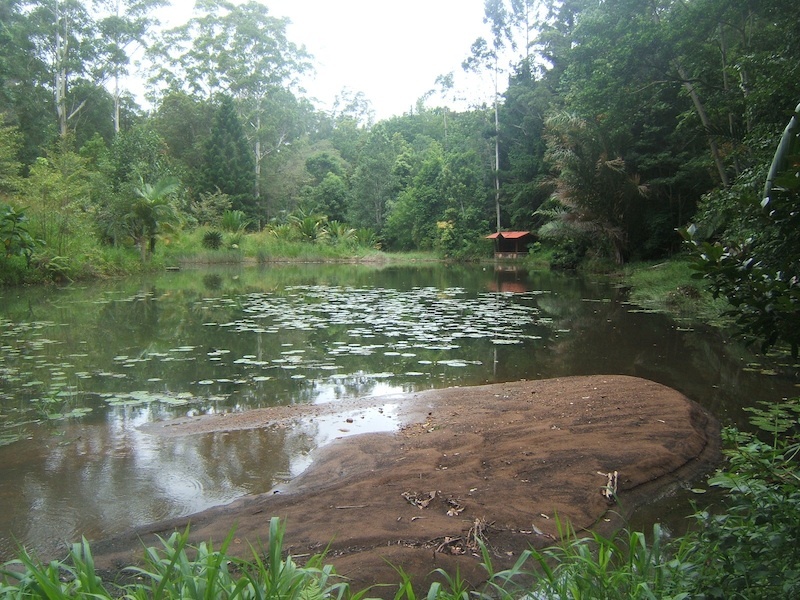 My pond in Australia, very alive with surface area of c.1200 sq. m.; great edge, vertical and horizontal, diverse species, aquatic and edge. Also: – aquatic env’mt can store more solar radiation than grasslands – convert this energy to fish flesh very efficient high protein. SO,try to get 15% of land surface under water, at least during wet season!!! Water from aquaculture pond is nutrient-rich, so any water used to irrigate plants is super-charged with a ‘soup’ of many nutrients valuable to plants. Win-win! – cold-blooded , so don’t use up energy controlling body temp. 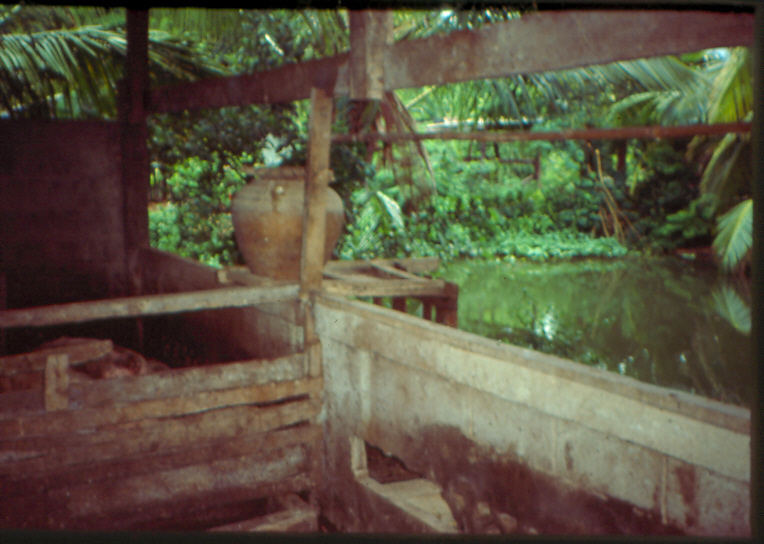 since aquaculture functions best in slightly alkaline water (7-9), if there is not a regular through-flow of water (in the case of a mostly rain-fed pond for example) acidity may increase especially if animals such as ducks or pigs are used to add fertility to the water as a symbiotic animal-fish system. 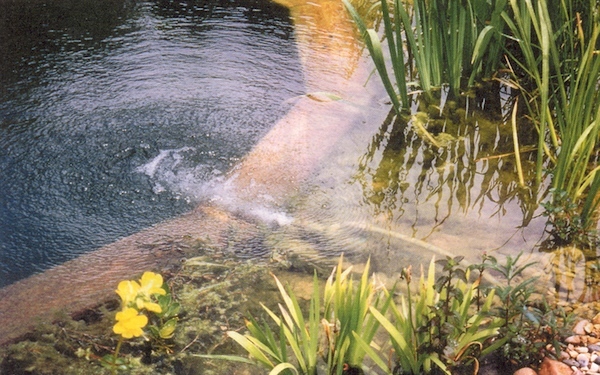 This can reduce the productivity of the pond through high pH and over nutrification which deprives the water of oxygen. The city of Kalkutta in India produces over 20,000kg of fish PER DAY from its aquaculture. Not to mention the amount of other food produced. The system works – theoretically at least – on a series of lakes, each one functioning to treat the pollutants, reducing it to the point where it is healthy enough for edible fish. The first lakes produce biomass which grows biomass for reforestation, while extracting the heaviest pollutants. The next ones also produce vast amounts of biomass, plus fish and other aquatic species are introduced; this process continues, each system extracting more pollutants until the point that fishes which can only live in relatively clean water, survive. 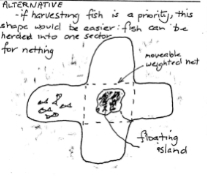 Thereafter productive edible aquaculture systems provide the 20,000 kg/day of edible fish plus aquatic edible plants. It’s all win from a pollution source to an abundance of many dimensions. depth at least 2m in middle so fish can escape from heat. >2m is not valuable from a harvest perspective. Ideal temp 18-25degC. * available food required – grow your own food. New dam can be inocculated by taking a bucket of water from old dam to breed up plants and micro-organisms. Algal feeders need heavy manuring and algae needs sun. Grass eaters need water plants along the edges. Taro is an excellent feed with weeds in between. Mulch edge of new dam immediately to encourage edge plants and reduce erosion and run-off. if within 30deg of the Equator, mallee prawn does well. Suspend nets vertically in water to grow algae. – from leaves, other deitrus, insects falling from fruit & veg. 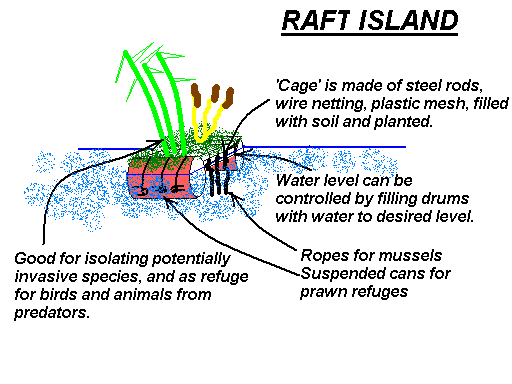 * existing vegetation must be assisted to attract insects or drop feed into the dam. It also provides an immediate habitat for micro-organisms. * size, number of fish and carrying capacity is related to surface area, NOT to depth of water or total volume. The ratio is of Size of Surface: Edge length. water level stability and water loss; top up if required. Oxygen levels are one of the most important factors. A reticulation system (running water, esp from height) or flow forms can help. What are the main factors affecting your yields? Can you suggest ways to improve on this? Brainstorm. 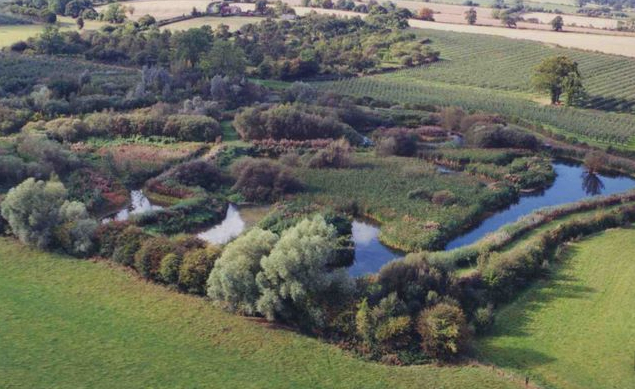 different levels are important to provide range of habitats; large fish naturally move to deeper water and deep water ensures region of lower temps during summer months. 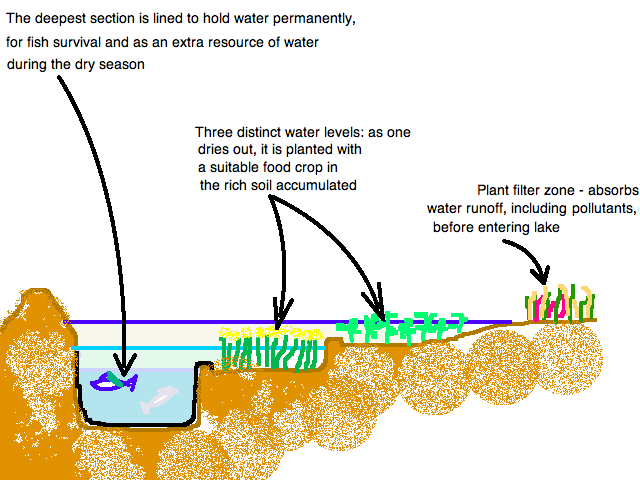 Shallow water can carry weed growth which offers protection to small fish, and is source of large quantities of food, providing habitat for water fowl, and producing food crops such as water chestnuts, taro, and arrowhead ie; polyculture. 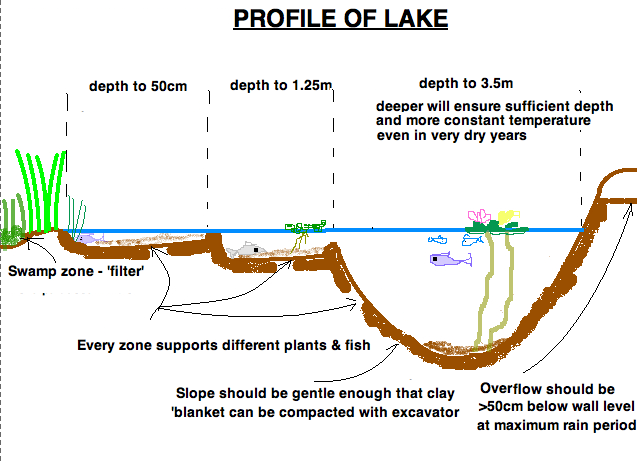 In case of lake losing water through evaporation or leakage, be sure to have a deep section lined with an impermeable membrane to hold water. 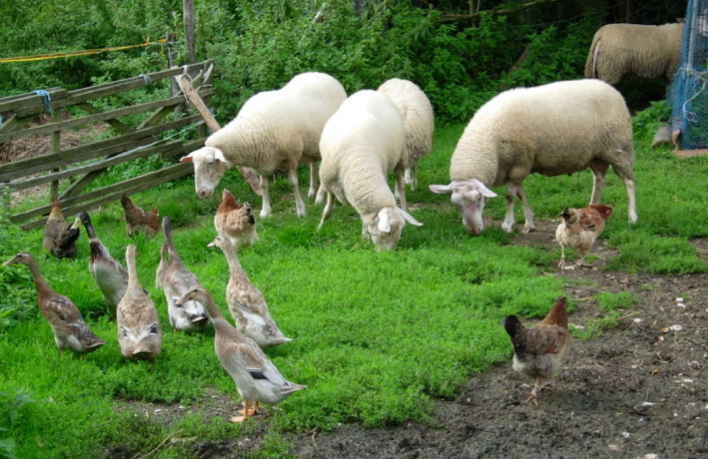 – are should be managed in complementary ways, should be grassed to reduce muddiness of water, no sprays to be used and stock should be excluded. – very important in biology of the body of water; a good bottom is able to quickly recycle nutrients and make them available – if poor, bottom decay is slow. Gravel, clay and sand bottoms can be improved by the addition of organic matter such as stable manure, sewerage sludge or by sowing a green manure crop before filling dam with water. * Pond Size and shape– There is surface area, edge and depth which is suitable for certain species and affects their stocking rate amd available food supply. – need to consider water temp, and max/min temps and overall geographic areas eg; inland, coast, mountains. – whether species can escape and become pests and also the interactions between species and symbiosis. Something needs to be known of the food chains in the water, and their inter-relationships. The more suited to their new habitats, the greater the growth rate. When stocking ensure that there are no other fish, or eels. Eels can be trapped from empty dams by shaking in Derris Dust which asphyxiates them. After two weeks, the effects of the Derris Dust is gone. Shrimps like to hide in little things. They will dig holes in dam walls. They love living in beer cans (non-rust aluminium) suspended from a raft. Shrimps will eat worms. Big frogs eat prawns. Freshwater mussels; can be grown on ropes and can filter 200 gallons of water per day (cleansing like kidneys). They also deposit phosphate. Different fish occupy different depths of water. Herbivorous fish occupy the pond edges where there are grasses and other edge aquatic plants. Chinese say: “if you feed one grass carp well, you feed three other fish”. Mud dwellers extract nutrient from deposited soil (eg; catfish – flesh tends to be ‘gritty’. In this way, many different species can occupy the same pond any problems arising of carnivorous fish over-eating other species and dominating. 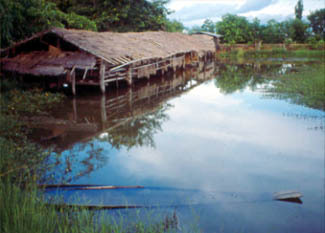 In marshes and wetlands make sinks to grow fish and prawns. This can also be done in mangroves. 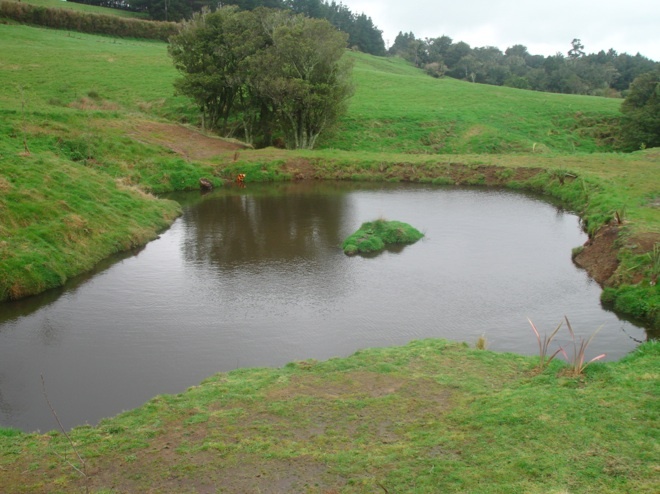 Can have a main pond with small ponds around it. Lack of Oxygen occurs in hot weather,may occur after rain when organic matter such as animal manures, vegetable matter has been washed into dam. Decomposition of OM uses up oxygen. Sign of oxygen deficiency are dead fish or fish coming to surface gasping for air. Oxygen may be replaced by circulating water or, pumping it up and spraying back onto surface of water. IT CAN BE AVOIDED BY MAINTAINING A BETTER BALANCE IN THE FIRST PLACE. A windmill – paddle floating on dam. Air rippling on water will work. Ducks swimming on the water. Predators – Cormorants. Fish are quick to learn about safe retreats, not metal pipes or chicken wire as they release chemicals into the water. Abundance of forage fish or crustaceans (shrimps, goldfish) will ease predation pressures on dam fish. Undesirable Fish – eels are problem (eat fingerlings -> reduce chances of establishing fish in dams). Removed using lights and baits of fresh meat. Each species can’t use all available food eg; edge species (eg;mulberry) provides fruit, eaten in water by fish, on land by ducks, ducks manure the water, utilized as food by fish/ micro-organisms which feed fish; mulberry also feeds insects drop in water and eaten by fish, as is frass (excrement or other refuse of boring lavae). Leaves which fall in water are also eaten, especially by shrimp. When food is not fully utilized, imbalances can develop with a drop in oxygen levels. Herbiverous fish perform a special function; Chinese say: “if you feed one grass carp well, you feed three other fish”. Grass carp consume massive quantities of partially digested materials, which directly feed bottom-feeding fish ie; common carp, and stimulate production in other parts of the food web. Grass carp can grow as much as 3-4kg/annum. (The Chinese use Mulberries particularly since they feed duck and fish on fruit and the leaves feed shrimp and grass carp). Production can be increased three times with pig manure/sun/carp. Then water plants growth increased with nutrients from increased fish stocking & growth. indian water chestnut (Trapa) } diff spp. lotus (water lilies – roots, stems in salad, seeds like popcorn; grows to depth of 2.5m. Embed in ball of soft clay with shot poking out; drop in water. HOW? 1. Large tractor tyre (NOT radial steel mesh! ), with one side-wall cut out, possibly with a serrated edge kitchen knife (hard work! ), keeping blade wet, and exerting cutting pressure as you pull up. For radial tyre, use angle grinder with blade, or by drilling holes and cutting with bolt cutters. NB: Tyre not necessary! 2. Dig hole to depth required, slightly larger than tyre diameter. Spread 3cm layer of sand. 3. Lay large sheet of heavy duty plastic – enough for double layer wrapped generously around bottom and sides of tyre, and to line inside. Place tyre on top and plastic wrap. Spread 5cm layer of sand on bottom. – low maintenance, don’t need watering, weeding or mulching. Attracts birds , raises humidity around pond, good for subtropical plants such as papaya, provides habitat for insect predators (frogs,lizards). Plants are very ornamental. Requirements – scavengers help establish natural balance, fish and water snails clean up rotting vegetation and algae, goldfish eat mosquito larvae and other insects. 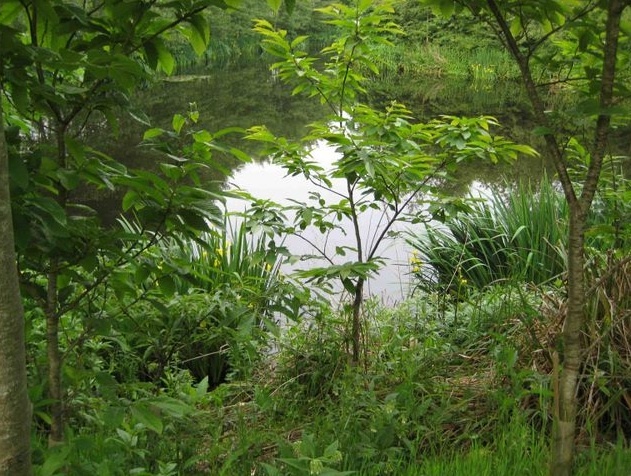 Plants and fish prefer mature water so do not empty pond unnecessarily and top up gradually. Fertilizer – can be small amounts of compost or manure. Water lilies serve practical function by keeping oxygen in water by trapping it under lilypads. Planting – containers are advantageous because water is clearer, it allows for easy harvesting of plants, easy repotting and division. The pond is easily cleaned. Use a clayey soil with compost or well rotted manure. SO may be better to raise in completely separated tanks, netted against escape! low on land is last opportunity to trap and store soil and nutrients before it otherwise would flow out of the land. Each pond should have capacity drain it empty, either by syphon system with pipe, or lock-pipe system. use sweet flavours to attract fruit flies, use honey and sugar 60% of fish food is insects. Can use a brick boiled in liver to attract blowfly family. ADD one thing at a time to water, and observe what happens. 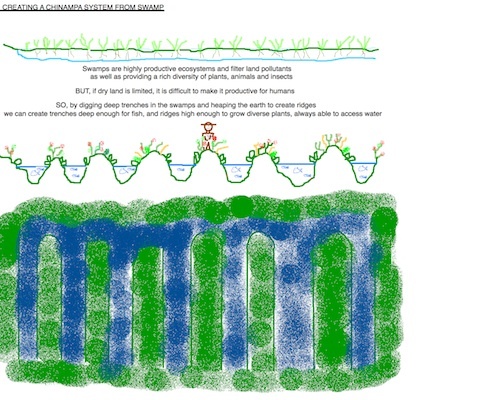 If land is small, and there is a large percentage of swamplands, this can be transformed into a chinampa system, in which the swampy land is trenched, with the material resulting from the deepening placed between each trench to form a mound which can be planted. 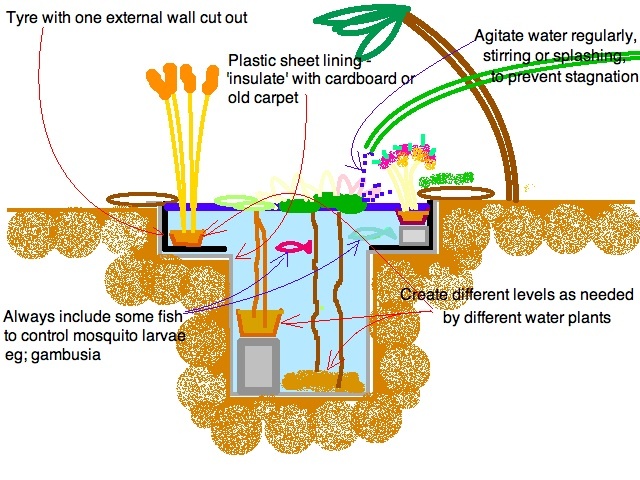 Aquaponics is another dimension of aquaculture especially appropriate for small-scale fish raising, with the added benefit of creating a closed-loop of nutrient cycle, with the fish providing the nutrient (through their faeces) for vegetable cultivation. Of course a far more aesthetically pleasing system can be put together if space is not so important, but this is certainly a great example of stacking in practise! Aquaponics is a valuable consideration as a recycling potential. These are small and large scale systems, in salt and in fresh water. They can be very simple, such as in the rice-fish systems of South East Asia, or more sophisticated and available as complete systems, at a price of course. Broadly speaking they consist of a series of components in which the water is filtered at various levels and recycled. 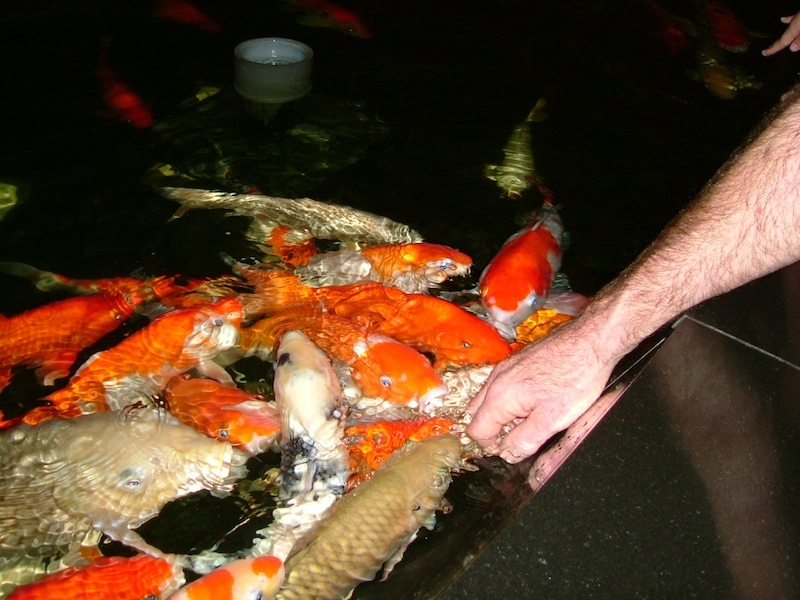 Fish are raised in a tank using a feed of commercial fish food (or by experimenting with various combinations of, for example, flaked grain and manure). the water at the bottom of the system is filtered again and pumped back to the fish tanks. Since water is a significant factor, this both recycles the precious water, AND reduces water needed to grow the same vegetables outside in the soil. Not a bad result of win-wins, particularly in such a situation of water limitations. Sump: the lowest point in the system where the water flows to and from which it is pumped back to the rearing tanks. 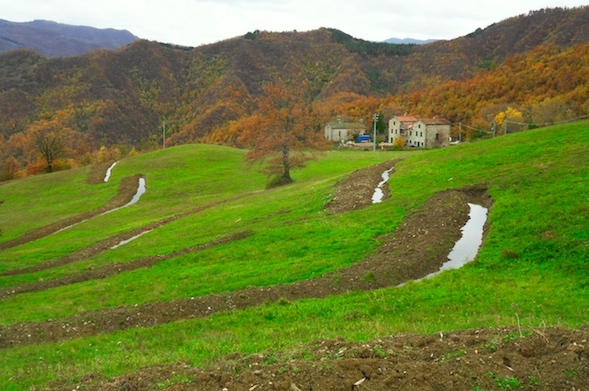 An aspect of good Permaculture design that must always be incorporated into our landuse is designing for disasters. Failure to design for extremes may lead to losing all our good work in one unconsidered event: fire, flood, drought, wind, storms, cold, heat. We can well say that Permaculture Design is Designing for Extremes since, no matter how ‘good’ our design may be for ‘normal’ conditions, it is how well it adapts to extremely strong, potential disasters that ultimately determines its sustainability and resilience. Of course Permaculture is much more than such a single theme, but failing to consider this one could put to waste all the other good work you have done, in one disastrous event. It is not good enough to plan for averages. ‘Averages’ are becoming less and less ‘average’ as climate change effects increase. There are plenty of different considerations to be made as we enter the process of designing land. Disaster is one of them, and we must question the nature of any disaster possibilities. 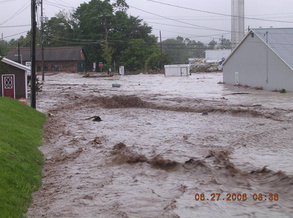 * Cause of disaster – is it natural or man-made? Can we begin to reverse the cause? * Frequency – how often does it occur? If it is once in 10,000 years, probably we need not put too much consideration into it. However, if it is likely to occur every few years – even every few decades – then we certainly should take it seriously. * Duration – short or long-term? * Speed of Onset – what is the warning period? * Scope of Impact – is it concentrated or spread over a large area? * Destructive Potential? – this can vary enormously. * Predictability – does it follow a pattern? Seasonal, direction of source of disaster (wind, slope, situation/material supporting or limiting its impact). * Controllability – are people helpless? Fire, flood, cyclone, earthquake, tsunami, drought, landslide, famine, nuclear accident, epidemic, climate change, land degradation; all can be taken into account using these criteria. 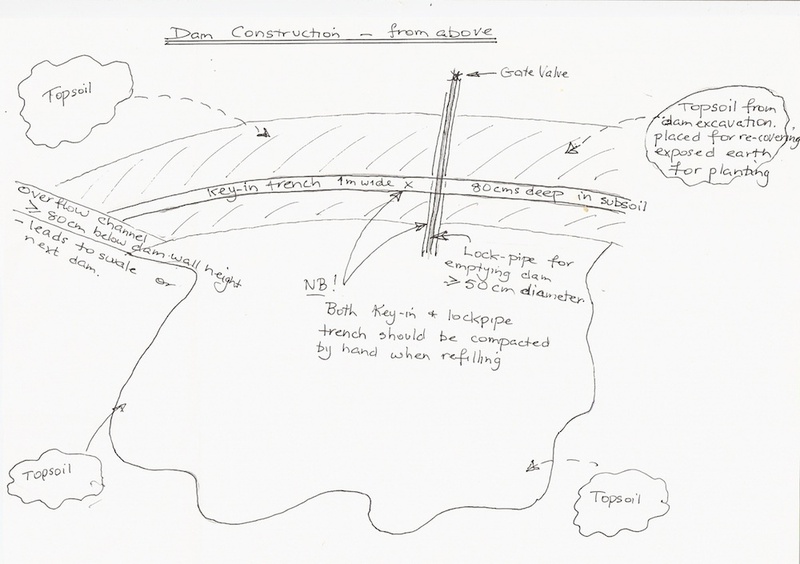 Design…..General strategies to minimise the impact of disaster. Start with structure – apply permaculture principles of reducing risk. have a small supplies of seed, store plants and water away from likely centre of disaster. Windbreaks or berms to protect home and garden, or to change the direction (of fire, flood, hurricane, cyclone). A good pitched roof to shed snow (if you live in a cold/temperate climate) and rain. The use of heavy materials in construction such as mud/concrete/stone formed walls and metal roofs to reduce damage from wind; wood against earthquake; bamboo flexible and easily replaceable. 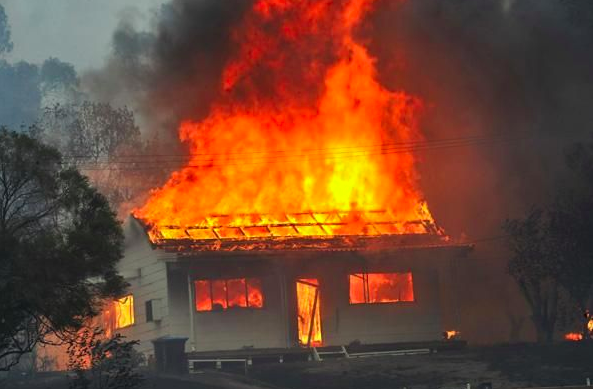 Certain species of trees such as mulberries, oaks, willows, poplars, and maples are fire resistant. These can be planted densely with succulent groundcovers and shrubs to form a dense firebreak. ‘Insure’ against these by creating and being involved in community-building and maintaining. Choose your company; support people; be generous and fearless. Work together; work co-ops build more than houses and gardens; they build friendships and community. eg; 1:100yr flood contour must have all structures above it. Allow for Greenhouse Effect. Have emergency garden out of flood reach. these generally arrive from specific, predictable direction, and are anticipated by modern weather-forecasting, so we can design with a good degree of advanced information. houses need to be built with cyclone bolts, and as close to ground as possible, even underground. Or, use 45deg roof angle; cut stud into brace, and have it high pitched. Remain in shelter during and after passing of the ‘eye’. 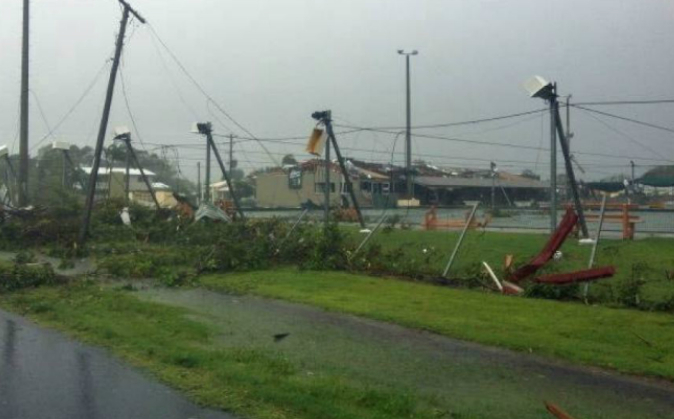 Every cyclone is dangerous, and must be treated as a real threat. normal part of many climates; never lose by greed or carelessness, supplies of seed or animals. Water must be kept clean and not fouled. Animals: If drought is part of normal weather cycle, then pastures and feed can be ‘saved’, as silage. Animals need to be on a salt lick (urea?) to facilitate digestion of dry feed. In drought, cattle can be fed on chopped dry stalk, small branches, straw, crushed cane, cardboard/paper provided they have access to lick of 10%(molases with urea added – 50-50). (eg; petrol drum in half-drum bath of molasses-urea. It is molasses-urea plus high cellulose cheap bulk food that enables cattle to breakdown some of the cellulose in wood and straw. Rest is provided from perennial forages, cut in succession and carried to pen; all manure and bedding is carried back to forage fields as mulch, preferably deposited in swales – mulch develops cool humus soils with good water capacity over time, and the forage plants thrive on this humus. Who is going to live beyond such an event, and how? protected emergency garden also; a greenhouse becomes even more important as a architectural design component of the house. Earthship design system of autonomous housing including indoor food production. Aquaponics important. This of course is a longer term theme; usually the degradation (and such consequences as starvation and malnutrition) is slow moving and evolves over a longer time. Dramatic exceptions to this are volcanoes (the flow of lava and lahar ash which totally blanket existing land), and tsunamis. 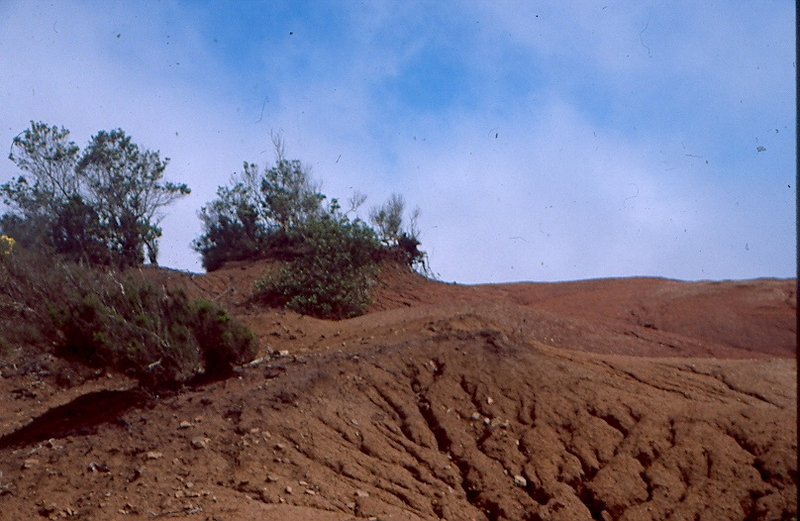 The impact of both these can be significantly reduced though, be creating significant earth arc-berms in the sector from which such potential catastrophes would arrive (ocean-side for tsunamis; volcanic mountain-side for volcanoes) so that the arrival of lava/ash/wave would be greatly diverted away from the habitation or cropland. Of course this must be designed so that the reduction in damage risk to one land area does not become greater damage to the neighbouring or down-slope land! Small areas can be made fire-safe. Non-oily spp, low litter, earth berms, close openings under house/eaves. 1. Zone 1 garden around house, damp mulches, green mulches, irrigated, no open eaves, underhouse gaps to start fire. 2. 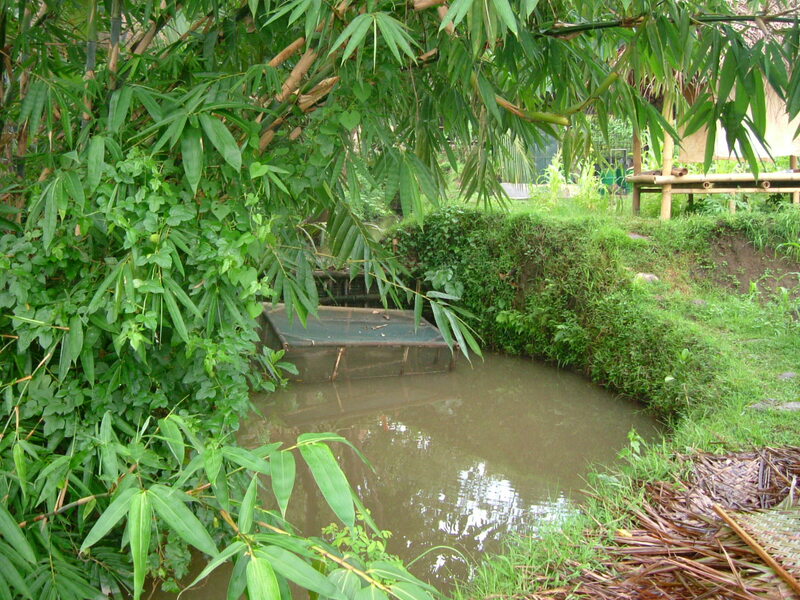 Water – storage in irrigation/aquaculture ponds and tanks about the house. Plug and fill gutters, basin and baths. Have hoses inside. 3. Roads/Paths – leading away from principal direction fires come. Keep clear. Fire resistent plants – eucalypts regenerate BUT volatile oils explode, add to fire heat. 8. Fire shelter – place where people can escape to if house burns -build of rock, mud, or inside hill, and whitewash it. I am writing this in response to a recent request for sources of ‘hard data’ on successful Permaculture projects. I must admit that my first reaction was indignation. I can understand the concept of quantitative verification of project efficiency (or otherwise), but I know from extensive personal hands-on experience that there are often other significant parameters which should also be taken into account, but which are not so easily measured by existing record collection status. So, I am inspired to outline these for your consideration. Also, I am as strongly aware as anybody, of the capacity to ‘doctor’ figures, which may portray very different results than reality demonstrates. As witness to the inappropriate and inaccurate measure of worth of Permaculture. I want to offer the example of a project which I was closely involved with for many years. Perhaps my words can inspire in someone the power to take it seriously, to actually propose experiments that can be observed and – no doubt – which will convince all of Permaculture’s importance. This was only a small local project in Tamil Nadu, south India, insignificant in comparison with so many multi-million dollar interventions of the World Bank, IMF, UN. And the list goes on, of grand funding agencies inaccessible to the majority of people in dire need around the world, denied by their scale and grass-roots nature to the small quota of financial support essential to initiate or maintain their precious and often life-changing projects. Unlike the grander ones attracting the attention of those great benefactors, these do not require vast dollars or vast energy. The chances of them resulting in great mistakes or wastage is minimised, as too the possibility of distaster, great scandal, or very questionable long-term sustainable consequences. Our project began with very modest resources, including a pitiful financial base of two or three thousand dollars. Almost nothing, even given the relatively small aim of the project: the reforestation of a sacred mountain. 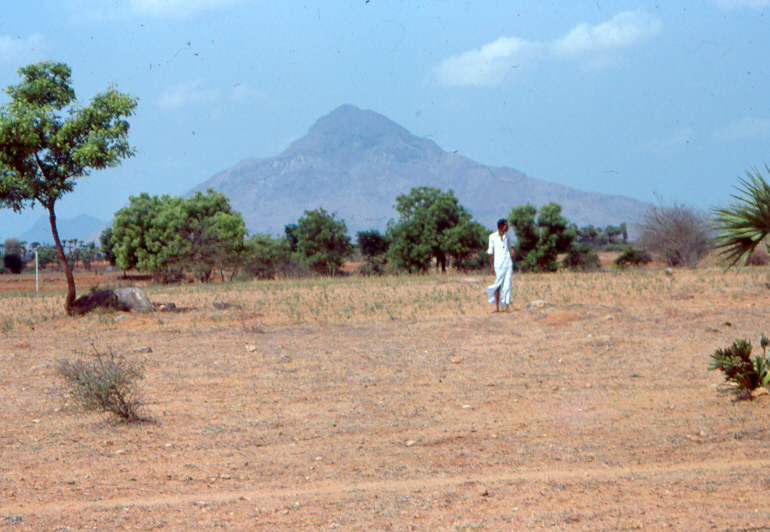 Hill actually, since the peak of Arunachala stands little more than 800metres above the surrounding harsh landscape. Most people declared the idea of that pile of barren rocks being transformed into a verdant forest as absurdly optimistic, if not impossible. After all, every photographic evidence of the past century had recorded the same thing; stone, patchy grass, and a few straggly bushes here and there. 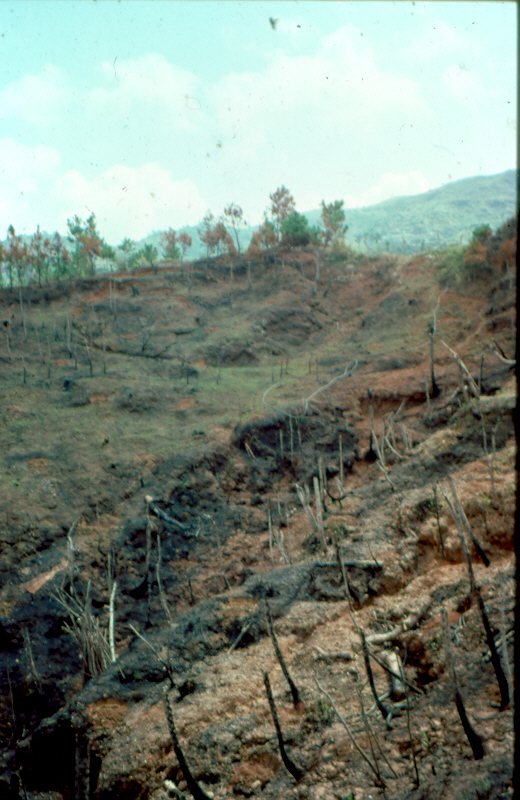 The few attempts at reforestation had been virtually a total failure. Adding to the improbability of success, the mountain represents the deity Siva, Lord of Destruction and Regeneration; worse still, Arunachala is perceived as Lord Siva in the elemental form of Fire. Such a symbol was a potent encouragement for any believer with a box of matches to earn extra karmic merit points by starting a fire on its scantily vegetated slopes. Little wonder there was so little vegetation, even though ancient scriptures had described it as a ‘mountain of medicine’. The funds were meagre, but at least enabled the establishment of a small plant nursery, and the first attempts at tree-planting on a very limited scale. The nursery flourished, but those early plantings were more like a ritual sacrifice, for of five thousand seedlings planted, I can’t honestly say if more than the tiniest percent actually survived, their young lives terminated by fire, or goats, or machete. Even a twig can be burnt, and the demand for cooking fuel is virtually insatiable. I mentioned enthusiasm earlier as a powerful form of energy ignored as immeasurable. Yet without it, and the blind determination it inspired, the project would have withered and died at the first hurdle. Instead, the first set-back became the critical spring-board that initiated altogether different results. A re-focus on sites most likely to achieve success proved correct, the need for paid watchmen was obvious and augmented, the nursery expanded into the main temple where water was constant and public attention assured; local support followed in large measure. Funding became available on the heels of our results. Given the failure of the first attempts, now I think of it, perhaps a dose of strong-headed madness in denial of what seemed to have been accurate, also played a role. In any case, small mistakes should lead to greater wisdom and the foresight supporting subsequent success. I won’t go into the trials and tribulations that we endured on the way to achieving the results which eventuated, but instead offer a brief synopsis of those achievements. Nobody would deny now that the the mountain is well on the way towards being a green beacon after so many generations as a great pile of rocks and little else. So for the sake of a balance sheet of inputs measured against the original aim, the Greening of Arunachala gets a shiny big tick of acknowledgement, at a cost over twenty something years of a bit over half a million dollars in total. Wages, logistics, the lot. That’s pretty good, by any means, but there is so much more to relate, some of it quite easily quantifiable, much of it not. In raising our nursery of three or four hundred thousand seedlings per year, apart from supplying the reforestation needs, we initiated the largest temple garden in India, recreated sacred planting constellations forgotten for long ages, awakened the population to a direct relationship between their culture and spriritual devotion and the regeneration of the topographical feature which dominates their city. Question: How do you measure a change in consciousness? And how far can the consequences lead? The authorities of the great temple (ten hectares in area) were apparently amongst those whose consciousness changed, for they agreed for us to create forest and gardens on six more parcels of wasteland around the mountain. Bear in mind that this sacred mountain is visited by millions of pilgrims each year whose main focus of devotion is to walk around the base of the mountain, inevitably visiting or passing by each of those regeneration sites. Since we were permitted to declare our works and sentiments on noticeboards at each site, millions of pilgrims from all over the country, all over the world in fact, were made aware of the potential for reclaiming absolutely barren land and transforming it into beautiful, productivity. Who knows what some of them may as a result have been inspired to do? Empowerment by clear example can have far-reaching consequences. The impression it made had very tangible results to, greatly reducing the need for institutional funding. One of the pilgrims, inspired by our work, even donated enough money to purchase a parcel of 2 hectares of completely arid and abandoned land, encouraging us to establish a Permaculture Demonstration Site. Many agreed that it was an impossible dream, but of course we accepted their challenge gratefully. We did nothing special in particular; nothing than any farmer could not do, without resorting to money or excessive energy in put. Just wise ‘common-sense applied Permaculture principles including perfect water conservation, complete ground coverage, great diversity of species, animal-plant association, close functional analysis to ensure maximum efficiency and productivity of the whole system. In short, excellent integration of all elements as distinct from the disjointed approach I have so often seen in larger projects. Apparently it is too complex to undertake whole systems analysis and integration. The consequences though, are invariably vastly superior in every sense than the narrow specialist focii still so prevalent. And guess what? The barren land was transformed into productivity within just a few years, with that productivity increasing year by year with little extra input. Transformation of the working patterns was an important factor in this. I can’t pretend, I must admit, that the spectacular transformation created a revolution in district farming practises. In conservative rural situation, the fear of change is often stronger than the proof of desirable change. Still, since agricultural practises are slowly changing everywhere, at least there is a shining example of what is possible. What value is assigned to that evidence of potential? Potential that anyone can duplicate, regardless of resource (though the scale and speed of transformation may vary of course). There have been many workshops and micro-credit programs initiated through the project, with abundant consequences, and the whole region is unquestionably more treed and less degraded than twenty five years ago. Our project has certainly been a notable contributor to that improvement, but actually quantifying the direct benefits would be difficult to undertake. There are springs running on the mountain year-round now, that have not done so in recent memory. If clouds were gathered around the summit in the early morning, as soon as the first rays of the sun hit the rocky slopes, the resulting dry convection heat from all that stone invariably evaporated the clouds quickly, Now though, the same sun hitting the forested slopes stimulates the evaporation of the moist leaf surfaces, and the resulting humid air rising adds to the clouds rather than repelling them, resulting even in some rains that did not fall previously. In twenty five years only. How does one attach comprehensive hard data to such consequents, that accurately portray reality? The same slopes now forested support a diversity of wildlife – animals, birds, insects and no doubt other life-forms – that have not been seen in years. Quantifying that in terms of nutrient recycling and fertility-raising would also be a challenging task that nobody has undertaken. It would not be easy to do so accurately anyway. Perhaps though, one of the most dramatic benefits of the project has been the change in the public consciousness, in the attitudes towards what is possible, in the empowerment of people to get involved, to rush onto the mountain en mass whenever a fire breaks out (they still do, of course) to extinguish it, because they know now the benefits and want to be a part of the changes, to add to them where they are perceived to be good. Not easy to put accurate data on these things either, on the many workers trained originally by the project who have now initiated their own projects as a result of their experiences. Quite frankly, I was far too busy actually ensuring that the project was functioning well to have time or the energy to devote to recording all the data necessary to satisfy your needs, and the resources of the project were insufficient to justify the studies required, as desirable as they may have been. One should not forget that this project, successful in abundant measure, was based first and foremost on the principles of Permaculture, at physical, social, cultural and financial levels. After all, Permaculture is so much more than just agriculture or organic gardens. I challenge large aid agencies to put Permaculture to the test; let us show that it will outshine almost every other approach to development projects, leaving the rest in the shade. I have signficant photographic testimony to the progressive story of the diverse aspects of this project, and the financial records were always meticulously maintained. I am sure enquiry to the Annamalai Reforestation Society, Tiruvannamalai, Tamil Nadu, 606603, India would receive appropriate response. This example is not unique by any means, and the number is constantly growing, from small to very large. The specific interventions vary considerable, according to climate, culture, needs, finances, experience, limitations. The one constant is the applications are based on the same principles; Permaculture principles. The name is not so important, except to convey a particular integrated concept of the relationship between people and place to create a harmonious, productive ‘marriage’, which lasts and invariably grows. Success breeds success. We are talking about empowerment; capacity-building in ways which most ‘development aid’ have scarcely touched. Believe me, I know from firsthand experience and observation. In any case, I would be open and pleased to present my experience with Permaculture over the past more than 30 years, from Australia, India, Indonesia, Thailand, Philippines, Pakistan, Eritrea, Nigeria, Russia, mainland Europe and the Canary Islands. I have no doubt that any reservations that may exist about Permaculture’s relevance – importance is more appropriate to say – to the world of sustainable development and creating a better world, would be largely clarified and dispelled. Dear old Bill Mollison would ferociously chew my ear about Spirituality and Permaculture, if he didn’t simply hang me by the balls and be done with me. Silly old sausage. He alludes to it often enough in Permaculture: A Designer’s Manual (Tagari Press), about the integration between all elements and the role people have and potentially could have, in nurturing nature while nurturing themselves. As if Nature and People are somehow disconnected. I believe this is the fundamental problem; the separation that exists between ‘Us’ and ‘It’, implicit even in declarations such as “I love Nature”. Toscana is exquisitely beautiful. Everyone seems to agree on this point, whether patriotic Italians, or the hoards of foreigners who swarm the gorgeous landscapes, gushing their praces, falling in love with the place. Some stay. I did. Little wonder then, that Tuscons are so proud of their land. So why is it being trashed? ‘Killing the goose that laid the golden egg,’ is an English expression that aptly describes the situation. As I move around Tuscony, my heart cries out in pain to see so much environmental vandalism taking place, generally by the same proud Tuscons. But surely Toscana is a model of ecological good management. Green politicians are active in local government, and Legambiente is a strong and respected environmental watchdog. I repeat again – environmental vandalism, on a grand scale! If Tuscon pride has substance beyond self-posturing, there is indeed plenty which can be done to reverse the trend and confirm its reputation for sensitive pragmatic environmental awareness. And to maintain the beauty for which it is so famous. This is the land of the Grand Tour by artists and aristocracy of northern Europe. I daresay they would lament the Toscan landscapes of today, a skeleton of the beauty they must have enjoyed. How many times I have heard locals extol the virtues of the local wine, as if it is the only fine wine on this planet. And that wine has been grown here for two thousand years. Good wine, yes. And certainly these hills have supported vineyards for millennia. But equally certain, it has been only in the last 40 years that it has been cultivated in such an industrial art, with vast acreages of vines all lined up down steep slopes that ensure the departure of topsoil is hastened, that guarantees the development of erosion lines between those symmetrical lines. If we continue with current methods of landuse, there is litle possibility that in even 200 years (surely much less) this Tuscony will be able to support a fraction of the vineyards of today. Our relationship with our landscape has changed radically in the last century, in Tuscony as elsewhere. And definitely not for the better. Permaculture offers an alternative possibility, in which the old harmony between people and place can be restored, revaluing the best of the traditional wisdom farming in the context of modern awareness and needs. And in doing so, applied Permaculture can regenerate the beauty of the Grand Tour days while ensuring long-term higher productivity and sustainability. Witness the great clods of clay in Toscana. The only long-term means of transforming the clay into a receptive medium for plants is through massive inclusion of organic material, and minimum ploughing. The improvement can only be achieved over a number of years, but if it is not commenced, it can never happen and we are condemned to relying on a system (ploughing and chemicals) that is not only ecologically disastrous, but economically unsupportable. This at a time when agricultural subsidies are being consistently removed. So the UK’s chief scientist Sir John Beddington – and so many others – has declared that the world can no longer afford to block cultivation of genetically-modified food crops on moral or ethical grounds, since population growth cannot be supported by existing food production. Predictable sentiments. My resistance to such declarations is not a denial of the the potential science has to contribute to feeding the world, even though I do retain serious doubts of the capacity of science or anybody else to accurately predict the consequences of their inventions. Where I protest is in the field of the blindness, or ignorance or arrogance that fails to address much more fundamental solutions that can contribute hugely to raising food production.